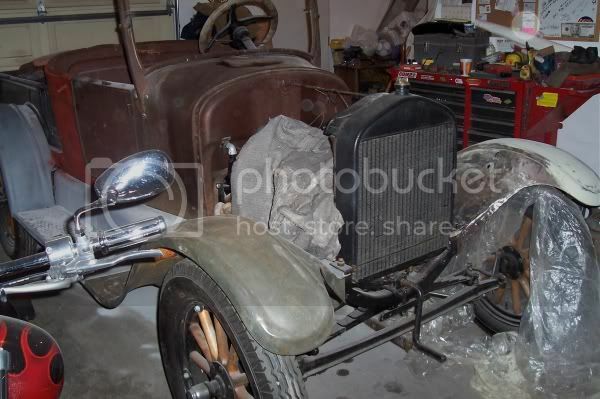 I was just looking through some pictures and I found these.. my brother's Model A Ford he was working on a couple years ago. I bet he's gotten it all fixed up by now.. I haven't talked to him for a while but I plan on visiting at the end of the month and I'll take pictures of it if he still has it. My brother's always working on some project car or another. I couldn't tell you how many cars he's restored and put back on the road. If he's not got the Model A anymore, I'll just snap a photo or two of whatever else he's working on (I'm sure it'll be cool). I would like to make a little correction. That car is a model 'T' Ford, not a model 'A'. 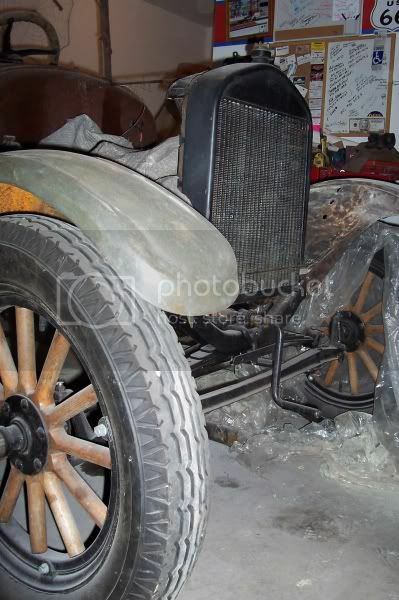 Model 'A' Fords had front brakes and metal wire spoke wheels, not wood spokes. Thanks for posting it; and take more pictures, because it's a neat old car. hmmm.... so how old ARE you? Blimey - brilliant old car indeed. They had a character which you don't see today, even if they only went at a third of the speed of some of those we now drive round in.